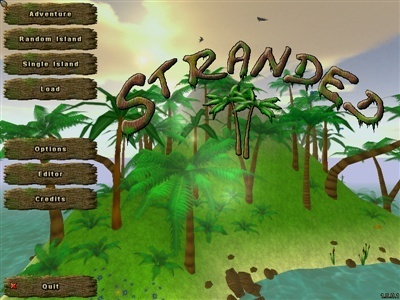 Stranded 2 (13.2mb made by Unreal Software, game updated 12/03/2008, no intall .zip) is the second installment of the Stranded game series with the 3rd currently in development. The object of this game is simply to survive, nothing more. You are stranded on an island from being ship wrecked and you must survive as long as possible by eating, drinking, build camps and creating tools to help you live. Encounter many animals and usable objects in your adventure, you can even go for a swim. What else will you stumble across when exploring your deserted island? 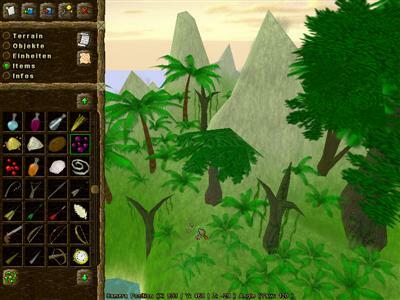 Included with the game is an island editor/creator with heaps of items to place anywhere on your island. Share what you've made and download other members islands too. This is a great, casual gameplay freeware game that will keep everyone entertained from young gamers to older gamers and was the winner in the casual category of the 3rd annual Indie Game Showcase (ECD Systems). 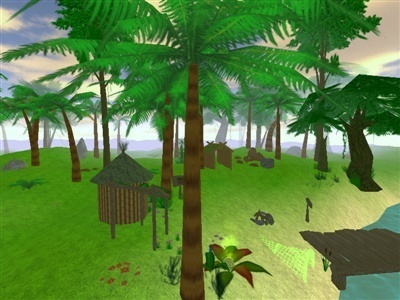 Nice 3D colourful graphics with tranquil environment sounds, you can even add you own as well as objects. The island editor is by far my favorite part of this game. Create your very own island with almost unlimited possibilities. Two thumbs up from me, this is defiantly a keeper. This freeware game should play on most Windows computers even with a basic on-board graphics card.